Named the 2012 TI:ME Technology Teacher of the Year, Barbara Freedman has been teaching Electronic Music & Audio Engineering at Greenwich High School in Connecticut since 2001. She is the author of the book Teaching Music Through Composition: A Curriculum Using Technology published by Oxford University Press. She is a technology trainer, leads professional development workshops around the country and is a consultant to schools and districts on building technology labs and integrating technology into the curriculum. 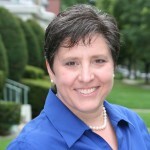 Barbara is the Co-President of the Music Educator Technologists Association/Technology Institute for Music Educators (META/TI:ME), Connecticut Chapter. She holds a Bachelor of Science and Master of Music in Performance from Brooklyn College Conservatory of Music City University of New York and Professional Studies Diploma from the Mannes College of Music. Barbara performs regularly with the Ridgefield and Bridgeport Symphonies. She studied conducting at the Hartt School of Music, Westminster Choir College, and The Julliard School. Barbara’s motto, “Teach music. The technology will follow.” has become the rallying cry for music technology teachers around the world. Amy M. Burns (http://www.amymburns.com) holds a Bachelor of Music in both Education and Performance from Ithaca College and a Master of Science in Music Education from Central Connecticut State University. She also holds Technology for Music Education (TI:ME )levels 1 and 2 certification as well as Orff level 1 certification and Kodály level 1 certification. 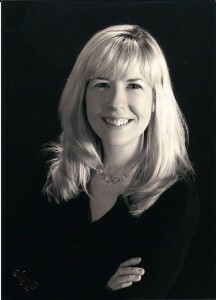 For the past seventeen years, Ms. Burns has taught general music to grades Pre-Kindergarten through three, directed the instrumental band, the flute and clarinet ensembles, the elementary choruses/musical theater groups and coordinated the after-school conservatory for Far Hills Country Day School, in Far Hills, New Jersey. She has presented workshops on integrating music technology into the elementary music classroom for numerous district, state, and national conferences over the past decade. She has contributed lesson plans to SoundTree’s Educator Corner and has written articles for the TI:ME website, the TI:ME newsletter, SoundTree Resource News, MENC General Music Today, NJMEATempo, Music Education Technology (MET) magazine and TMEA’s Southwestern Musician. She is the lead author and editor of a book of technology-enhanced lesson plans titled, Technology Integration in the Elementary Music Classroom, published by Hal Leonard and a contributing author to SoundTree’s Elementary Keyboard Curriculum Series and Pearson’s Online Learning Exchange™ Interactive Music powered by Silver Burdett. In 2005, Ms. Burns was awarded the first-ever TI:ME Teacher of the Year Award in recognition of her outstanding achievements in integrating music technology into the elementary classroom. In 2008, she was elected as President-Elect of TI:ME, served as President in 2010-2012, and is now currently the Past-President. In 2013, she was selected to serve on the NJMEA Board as the Early Childhood Music Educator Chair. Finally, Ms. Burns is a proud mother of two girls. Kate Wardrobe is a music technology trainer and consultant with a passion for helping music teachers through her business Midnight Music (www.midnightmusic.com.au). She runs hands-on professional development workshops throughout Australia and a popular series of online courses. Her workshops and courses focus on incorporating technology into the music curriculum through a range of creative projects. In 2011 she released an ebook for users of open-source soMware program MuseScore, titled MuseScore: The Essential Beginner’s Guide and in 2012 she authored a keyboard and music technology program for middle school students titled Studio Sessions (published by MusicEDU). Katie has had articles published by magazines such as Music In Ac3on and Education Technology Solutions and is currently working on a new ebook titled iPad Projects for the Music Classroom. In 2011 and 2013 Katie was the Project Manager of the Soundhouse Music Alliance’s bi-annual Music Technology in Education Conference. 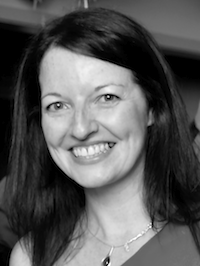 Katie has presented at more than 30 other music and education- related conferences and events and is fast-becoming known as an expert in the practical integration of iPads in music education.